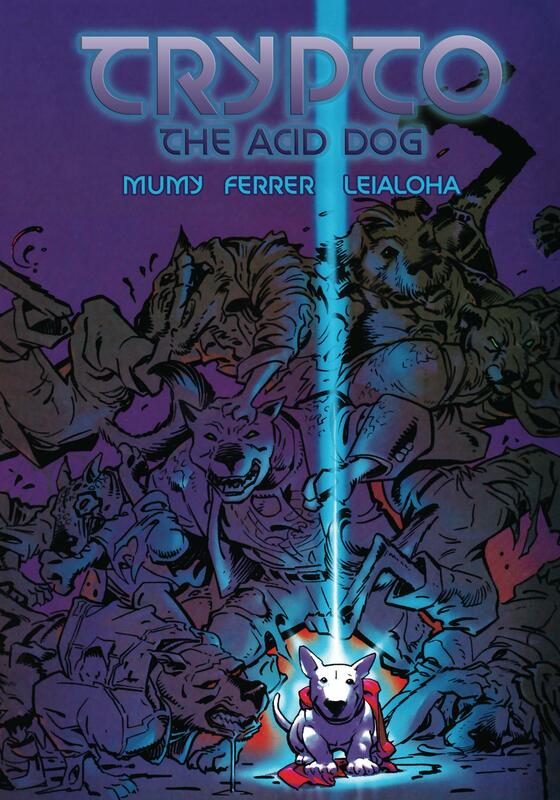 What do you get when two well-respected actors and long-time musical collaborators team up with an Eisner Award-winning artist to chronicle the life of a dog of vengeance? You get something odd, something edgy, something unique. You get Trypto, the Acid Dog. Born of water, born of fire, born of blood, born of acid, Trypto is unlike other dogs. In this series of offbeat tales, the canine avenger fights against those who would abuse Mother Earth and her creatures. 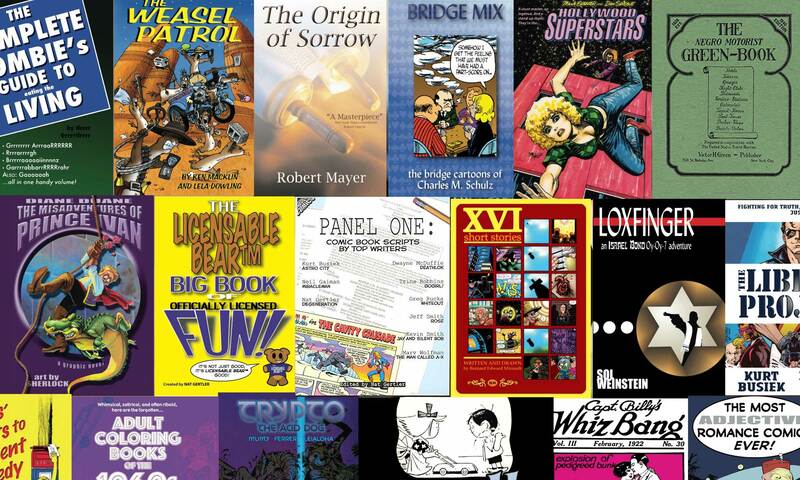 Produced over the course of a decade, the complete run of Trypto stories is brought together for the first time in this 25th anniversary collection. 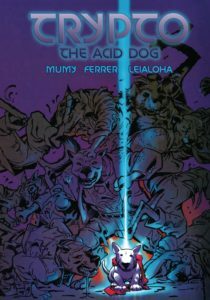 Order Trypto the Acid Dog from Amazon! Written by Steve Gallacci, Michael Reaves, Christy Marx, Axel Shaikman, and Brynne Stephens. 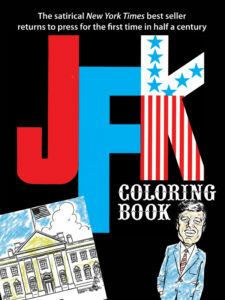 Drawn by Lela Dowling, Larry Dixon, and Judy Meadows. 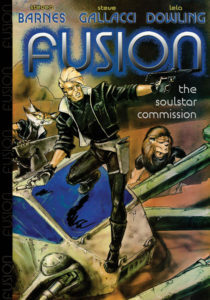 Before the Guardians of the Galaxy gathered, before Firefly flew, there was FUSION. The Tsunami is a cargo ship. Things get put into her, taken across space, and taken out. There’s nothing unusual about that. The crew, now that’s another matter. Sure, Captain Indio Tremaine is human, and so is her first mate, the handsome and indestructible gambler Dow Cook. But the rest of the crew are genetic constructs of fur, wings, and claws. Tan, the engineer, is one wily weasel, and that’s no metaphor. Together, they are rated “high-risk indy,” suited to take on the least likely, most dangerous deliveries. They’re the team you want when you have cargo to be delivered and you need things to go right… or when they’ve already gone wrong. Do things go wrong? This wouldn’t be much of a book if everything went smoothly, now would it? This collection features four science fiction tales with a very human sensibility, even if the characters are not strictly human. 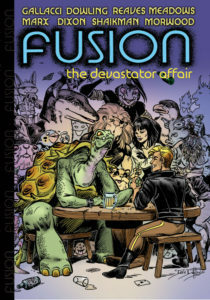 Order Fusion: The Devastator Affair from Amazon. Written by Steve Gallacci, Michael Reaves, Peter Morwood, and Dave Simons. 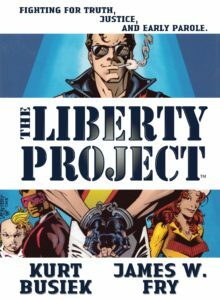 Drawn by Lela Dowling, Steve Gallacci, Phil Foglio, Tim Burgard, Dave Simons, Larry Dixon, Joe Pearson, and Monika Livingston. 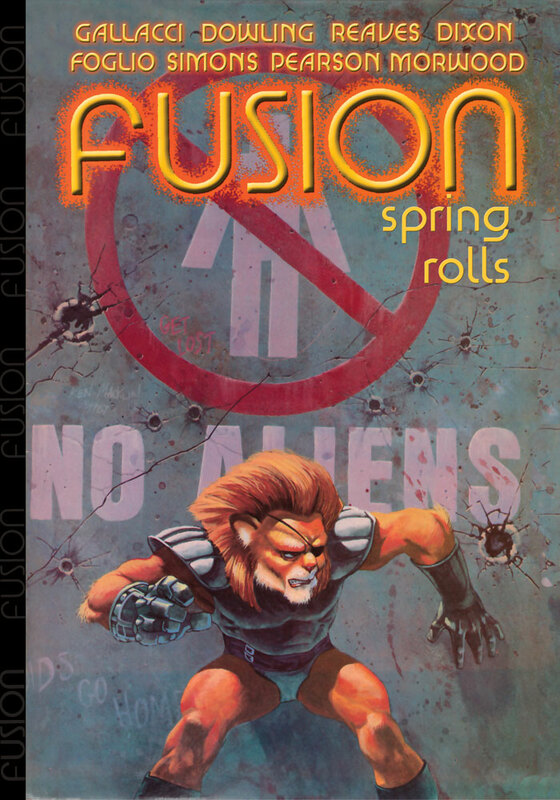 FUSION: SPRING ROLLS is a short story collection featuring eight tales of high-flying high adventure and hijinx, told by a team of writers who have written acclaimed novels, TV shows, and checks, and artists who have drawn praise, awards, and salaries. 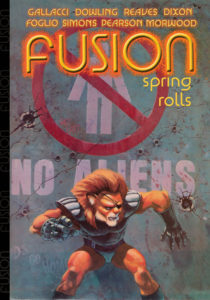 Order Fusion: Spring Rolls from Amazon! Before the Guardians of the Galaxy gathered, before Firefly flew, there was FUSION. Now the graphic novel that launched the series is in book form for the very first time. Order Fusion: The Soulstar Commission from Amazon! 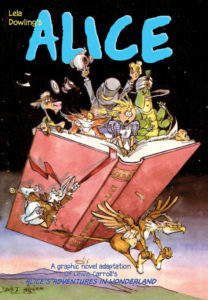 Lewis Carroll’s classic Alice In Wonderland tale gets turned into a full-scale graphic novel with delightful art by Lela Dowling (Fusion, The Weasel Patrol, Anne McCaffrey’s Dragonflight). This lively romp filled with cute critters and wonderful wordplay will be welcome kids, Carroll fans, and youth librarians. As an added bonus, it includes a whimsical adaptation of Carroll’s nonsense poem “Jabberwocky”.